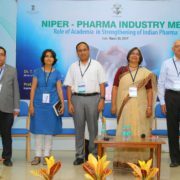 NIPER here held a Pharma Industry Summit on 24th March 2017, bringing together many govt, academic, industry and trade groups to speak about life sciences entrepreneurship in Hyd. It was a great initiative by Dr. Nanduri who himself brings many years of industrial experience to NIPER. I particularly enjoyed the opportunity to moderate a panel discussion on “Start Up and Entrepreneurship in Life Sciences : Challenges and Way Forward”. Our panel consisted of two academics : Dr. Suman Kapoor of BITS Pilani Hyd who has brought out a device to determine TB infection much faster, and Dr. Madhusudhan of CCMB who is currently spearheading CCMB as an incubator for Life Sciences industry. 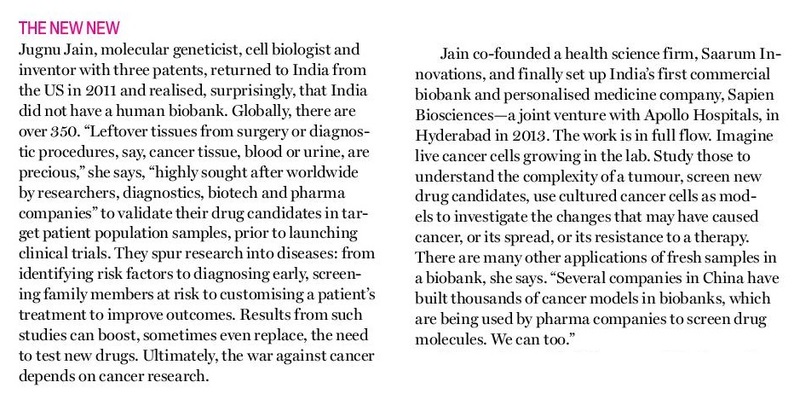 Dr. Balaji Bhyravbhatla of Hylasco, a serial entrepreneur, Dr. Swaroop Vakkalanka of Incozen with several licensing deals under his belt, and myself as a co-founder of Sapien Biosciences represented LS Industry. Each panelist spoke from their experience and shared some of their advice such as getting sufficient experience in one’s field before embarking on entrepreneurship, assessing your market often to manage risk, knowing your investor as well as your competitors, maintaining a diary of ideas and vetting them with experienced people, not being too possessive of one’s ideas, being willing to back out if timing is not right, forming teams of 3-4 people where 1 member is not a scientist etc. There were many questions from the audience which made for a lively interaction. a) Form a LS group and hold a monthly networking meeting rotating at different forums several of which were offered immediately – CCMB, BITS campus, NIPER, Madhapur. A WA group will be created soon. I noted that I knew all the panelists! This used to be common in LS meetings at TiE-Boston but it was nice that it finally happened in Hyderabad, a city I moved to 5 years ago. 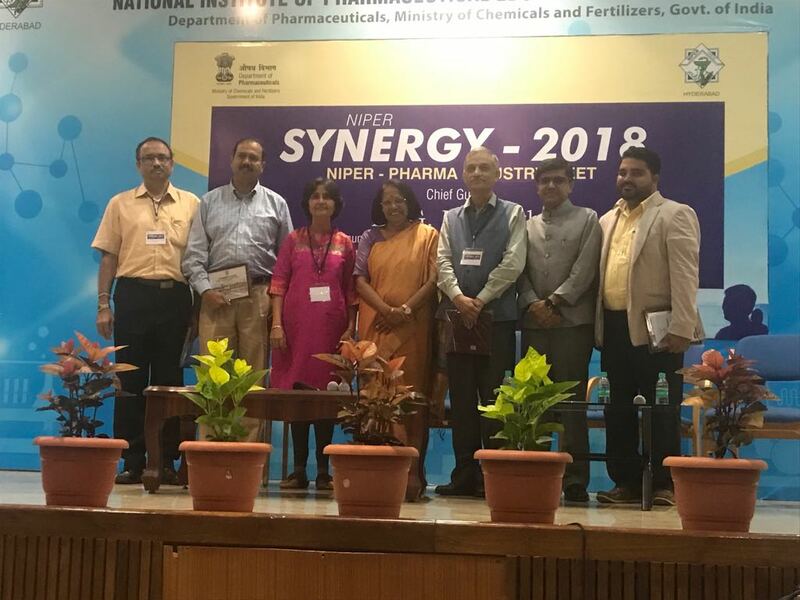 In picture from L to R: Mr S Reddy (Registrar NIPER), Dr. S Nanduri (Professor, NIPER), Dr. J Jain (CEO, Sapien), Dr. S Vakkalanka (CEO, Incozen), Dr S Kapoor (Professor BIT Pilani Hyd), Dr. B Bhyravbhatla (CEO, Hylasco), Dr. Madhusudhan (Professor, CCMB). Dr. Jain attended the Molecular Med Tricon 2017 conference at San Francisco 19-23rd Februrary, 2017. 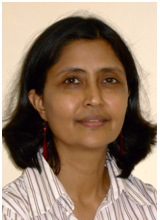 It was a blend of academia and industry working in the field of personalized medicine using molecular approaches. 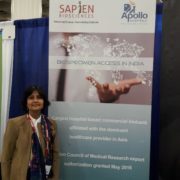 Dr. Jain joined Sapien’s partner, Trans-Hit Bio of Canada, who had put up a booth at the conference and promoted our partnership jointly. 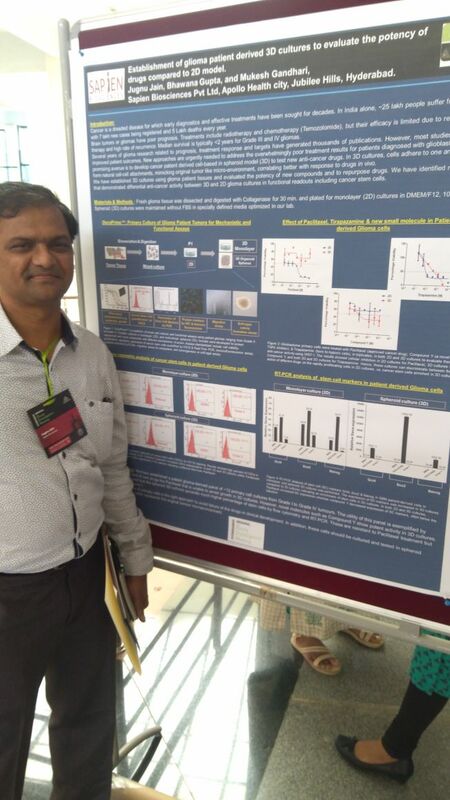 Dr. Jain attended the Diagnostics and Cancer Tracks where dozens of companies and groups working on improving the sensitivity and specificity of blood- or urine-based markers ranging from cancer cells or cell-free DNA, RNA, proteins presented new technologies. Such groups are potential customers of our biobank so it was a good meeting from business point of view as well. 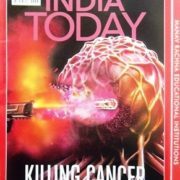 This is a retrospective study with data collected from breast cancer cases from five major Apollo Hospitals across India, as part of a biobanking process. One aspect of our study focused specifically on data from triple-negative breast cancer (TNBC) cases. The aim of this study was to analyze epidemiology, treatment options, and survival of the patients with TNBC. Our goal was to draw conclusions on the preponderance of the disease and also to understand the outcomes using the existing therapy options. MATERIALS AND METHODS: Data were collected after due ethical clearances and were coded with regard to patient identifiers to protect patient privacy. Data were not only from the various departments of the respective hospitals and the treating physicians but also from the follow-up made by hospital staff and social workers. RESULTS: About 20% of all cases of breast cancer comprised TNBC. Although the disease is generally thought to be an early onset disease, there was no major difference in the median age of diagnosis of TNBC compared to other breast cancer cases. More than 85% of the TNBC cases were of early stage disease with <4% of the cases of metastatic cancer. Data on follow-up were somewhat sporadic as a good number of cases were lost to follow-up, but from the available data, recurrence rate was about 11%. 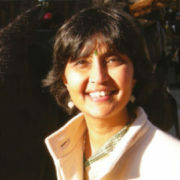 Death, when it occurred, was mostly in the early periods of treatment with 35% of the events occurring before 3 years. 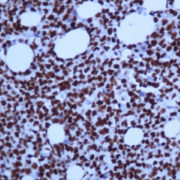 The overall survival rates beyond 3 years were more than 86%. CONCLUSIONS: Data and sample collection are an ongoing process, so we expect this data set to be enriched with more cases and longer duration of follow-up in a year. Preliminary analysis sheds light on the potential of such a collection both for understanding the epidemiology of the disease and also for conducting future studies with an eye toward improving treatment outcomes.